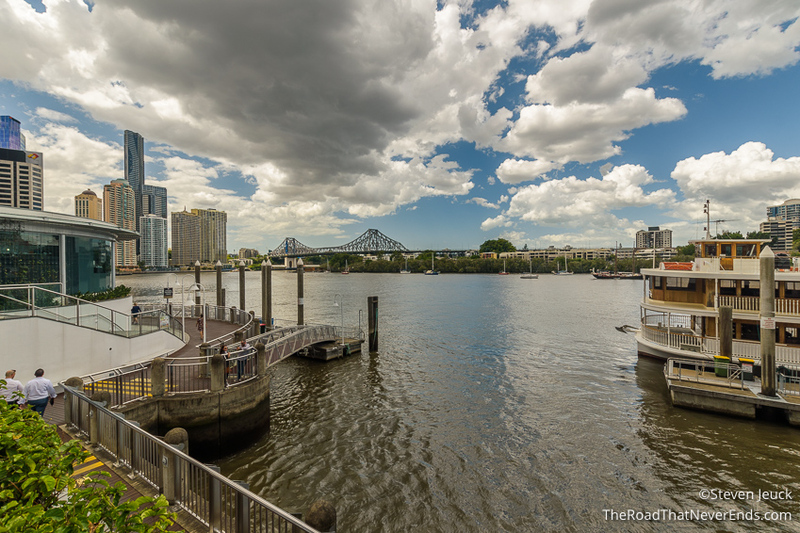 Brisbane is known as the River city. 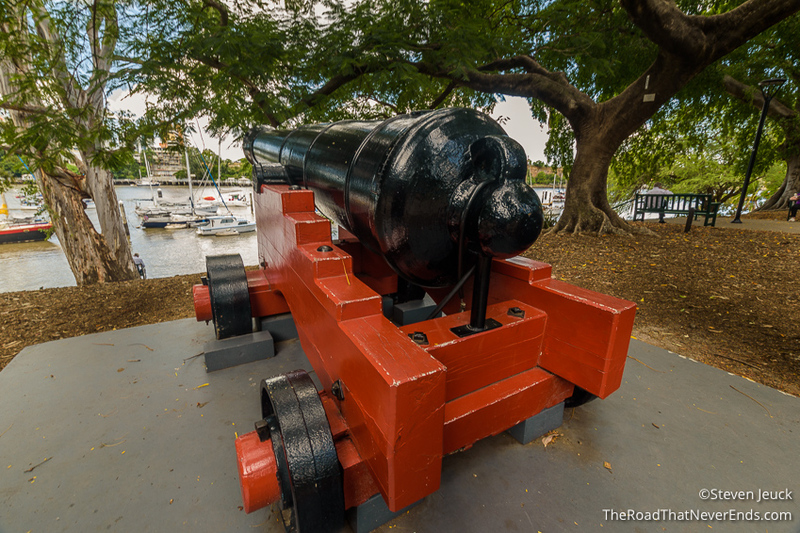 It was originally a penal colony in 1824, but was opened up for settlement in 1842. The unique history, culture and sights made this a must stop. We spent a few days here exploring the city and can see why over 2 million people call it home. Once we dropped our car back off at the airport, we took an Uber to our hotel. Similar to Sydney, the airport transportation link is pretty expensive, and for the two of us, was much cheaper to take an Uber. 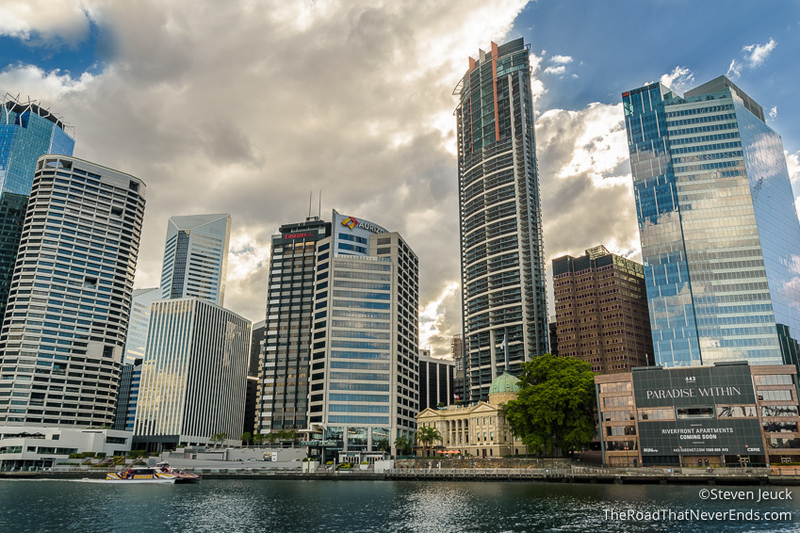 Throughout our stay in Brisbane, we took advantage of two public transportations – the CityHopper boats and the city busses. 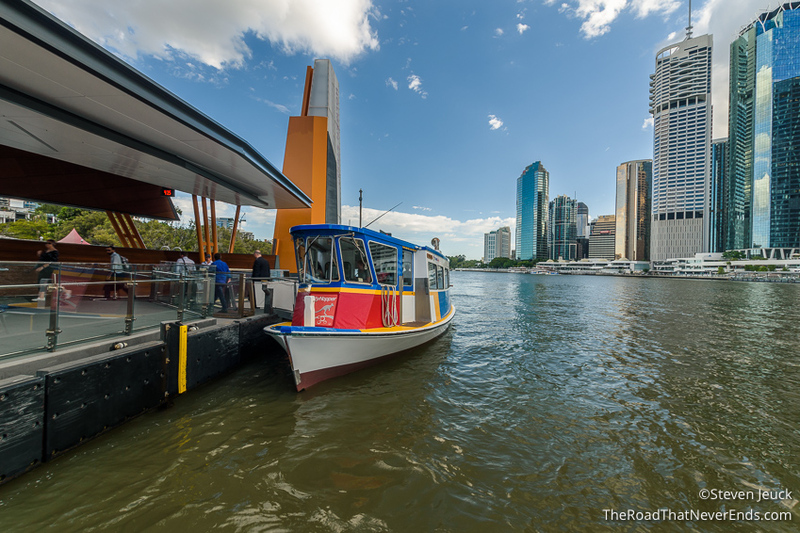 The CityHopper boats travel along the river and stop at 8-10 main stops. The best part – it was FREE! There are faster boats, and boats that go to more suburban areas further along the river, but they cost money. The busses were easy to understand using the Transit App, as long as you remember to flag them down. In Brisbane, we didn’t buy their transportation card, since it was cheaper to buy one way fares on the bus, which the bus drivers didn’t care for at all. Similar to Sydney, the bus drivers were a bit on the rude side. We should note, there is a free city loop bus, but we didn’t take it, we walked everywhere within the main city. We stayed at Metropolitan Motor Inn. 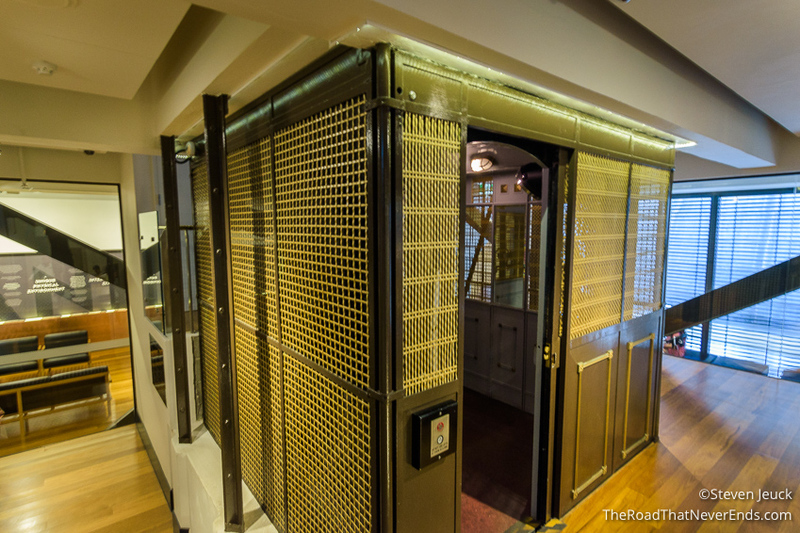 The room served its purpose, however, the Wifi hardly worked and the customer service there was bit jaded. I guess when you are paying less than $45 a night in the middle of a metropolitan area, you shouldn’t expect much. We picked this hotel due to its great location. 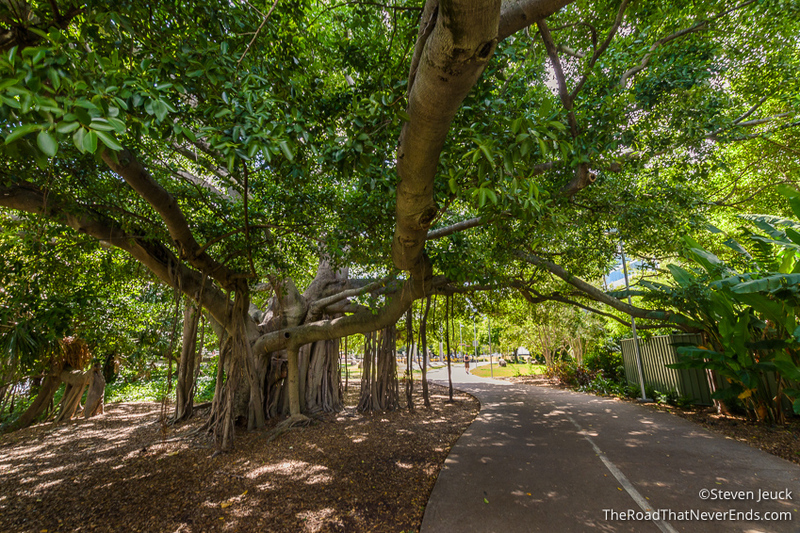 City Botanical Gardens – The gardens are beautiful. A walk through them, we were treated to fruit trees, birds, and plenty of mangroves. Many people took advantage of the nice weather and were picnicking throughout the park, brilliant idea. 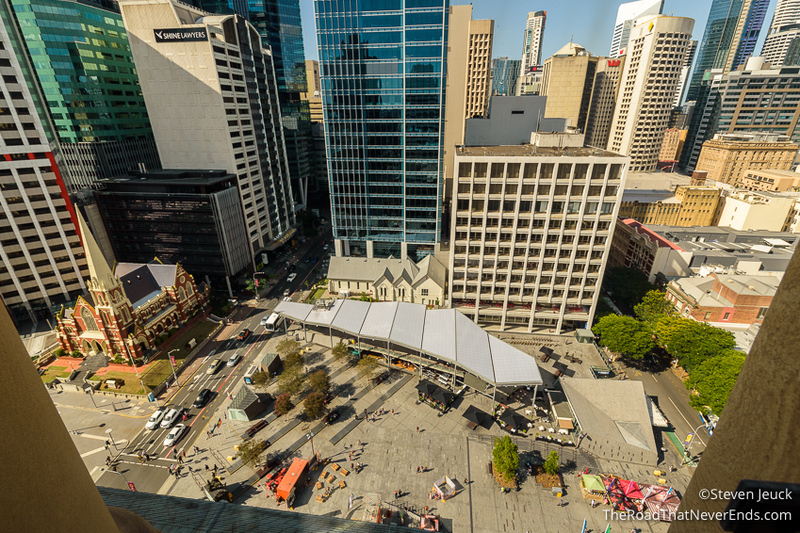 Customs House – This place was once the customs house, but is now used for private functions (from what we can tell). We admired the outside, and found the building to be quite beautiful. St. John’s Cathedral – We weren’t able to go in, as they were doing a special service, but found the church to be breathtaking. 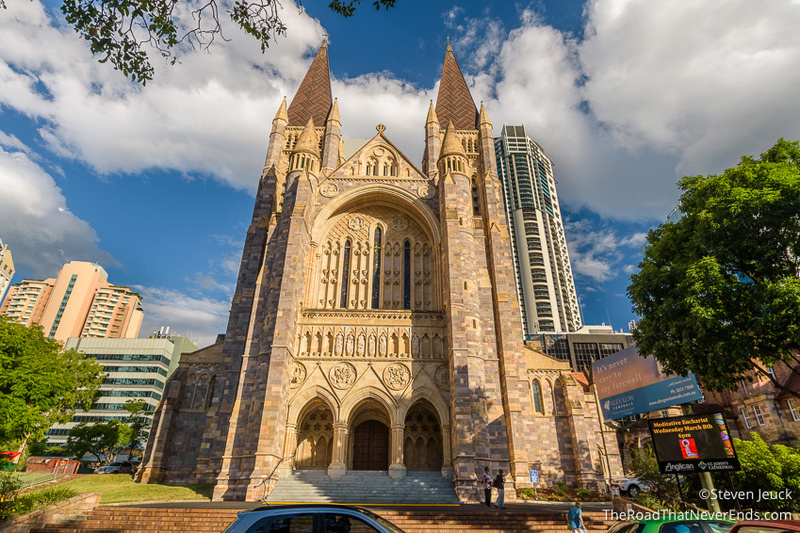 We had read that this is the only neo-gothic style building in Australia. 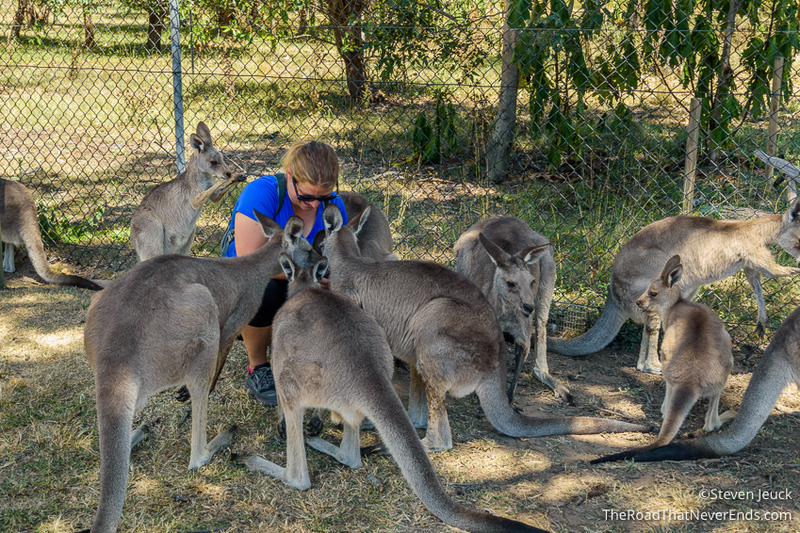 Lone Pine Koala Sanctuary – I know what you are thinking… haven’t you see enough Koalas!? No! Lone Pine is the oldest and sanctuary here in Australia (1927). 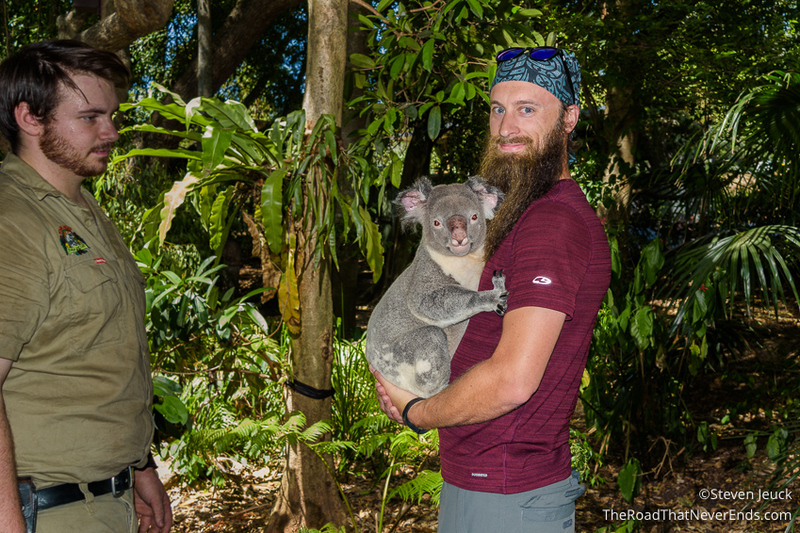 It is here that we were finally able to hold, smell, and semi-hug a Koala! 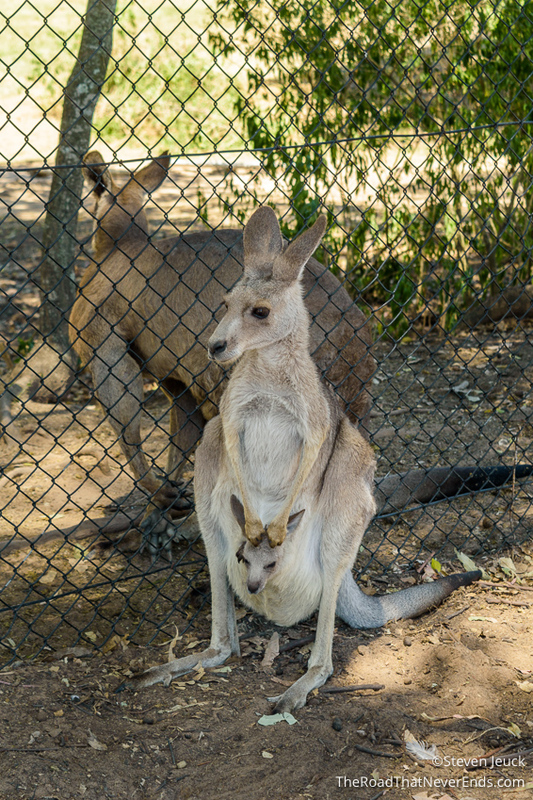 We also got to see many native animals, including Dingoes, Kookaburras, Platypus (and yes, they are as cute as you think they are) and even feed Kangaroos! We took the bus here from the city and it was really simple. Once we arrived we saw Flying Foxes! We went immediately in line to see the Koala and hold one. We also bought food to feed the Kangaroos. 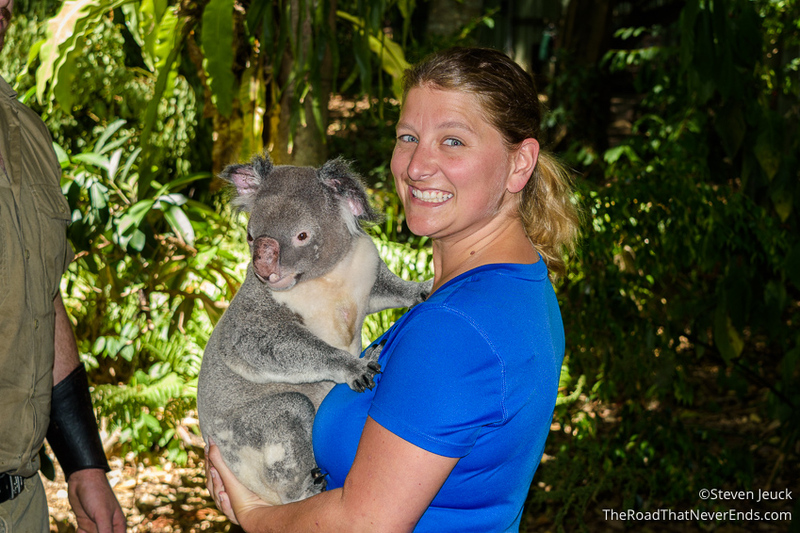 What can I say about my Koala experience – they are a little smelly, and a little moody. In fact, the first one I attempted to hold decided he was over it and made it known immediately by wiggling around. The guide said he had been out a little long and switched up to anther Koala, Fred. Fred didn’t care for the way I held him at first even though I did what the guide told me, so we tried again and then he was fine. Fred seemed to really like Steve and his beard. Next, feeding the Kangaroos was amazing. Some of them ate it from my palm very neatly, some slobbered, and even some were a both teethy. I had so much fun. We fed the lazy ones… ones who didn’t even bother getting up, it reminded me of Sparky when he eats laying down. We fed old ones, baby ones, and then ventured to a big group in the shade, that is where they seemed to really enjoy the food and pawed me for more. We walked around the rest of the zoo, and had a great time. 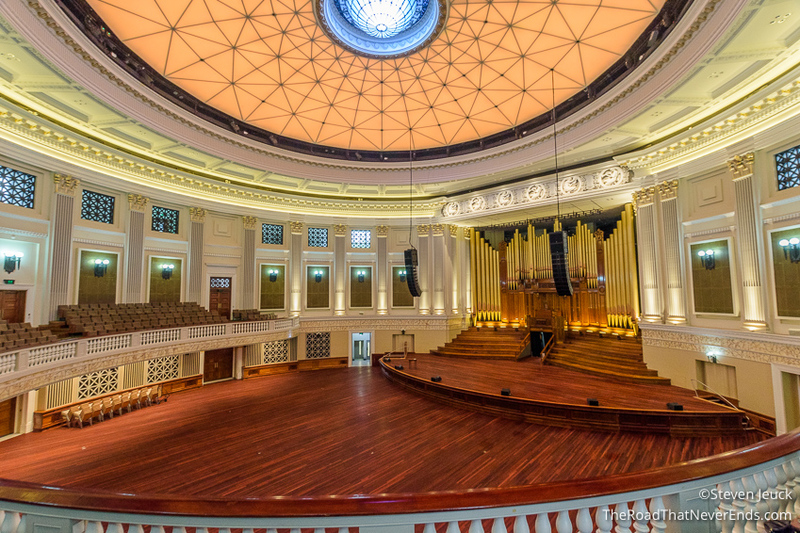 I would highly recommend to anyone who goes to Brisbane to check it out. 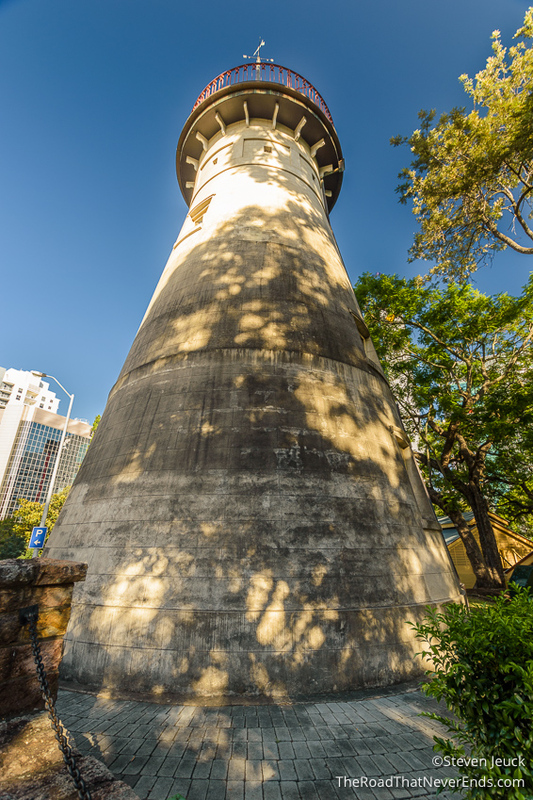 The Old Windmill – Built in 1828 by convicts, this is now the oldest surviving building in Queensland. Many people believe it is haunted, we did not visit at night, so cannot confirm or deny that theory. 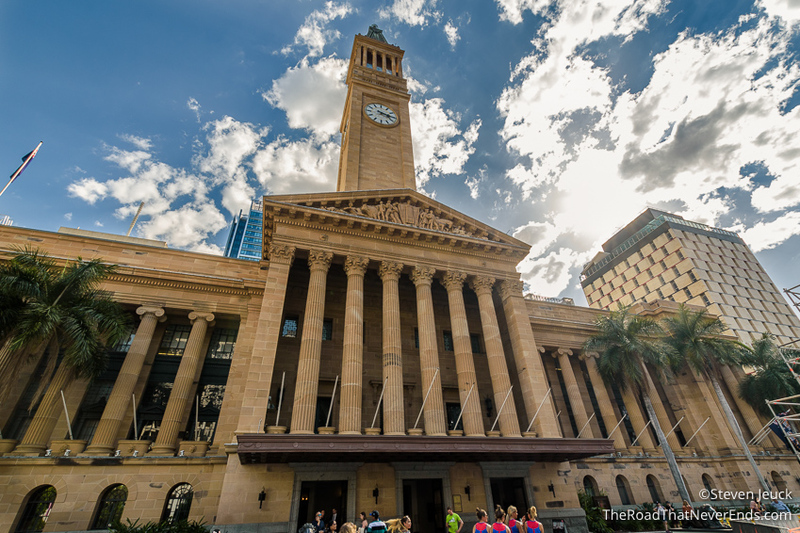 City Hall – The City Hall was once the tallest building in Brisbane, and many people would pay money to ride up the elevator to the clock tower to check out the view. Today, you can get a ticket for free and enjoy the sights of the city hall. They also had an amazing exhibit about local Brisbane stories and displayed local art. We ended up spending close to 90 minutes here. 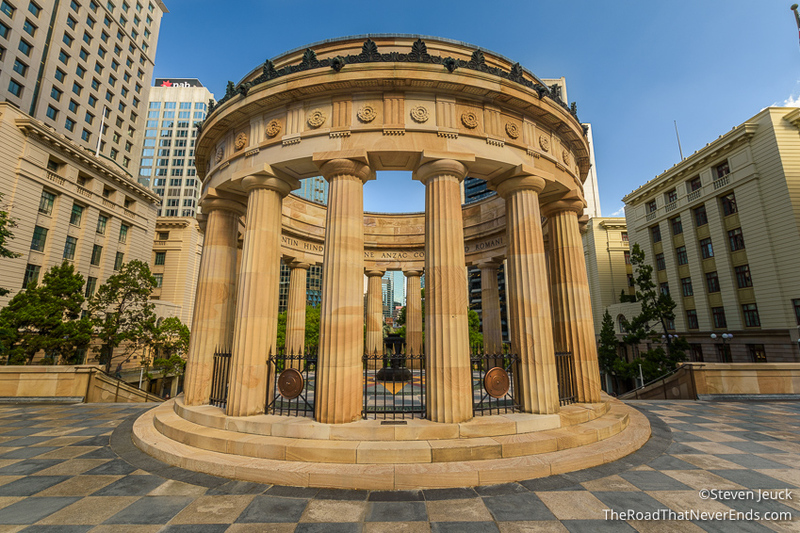 Anzac Square War Memorial – This plaza is simply beautiful. 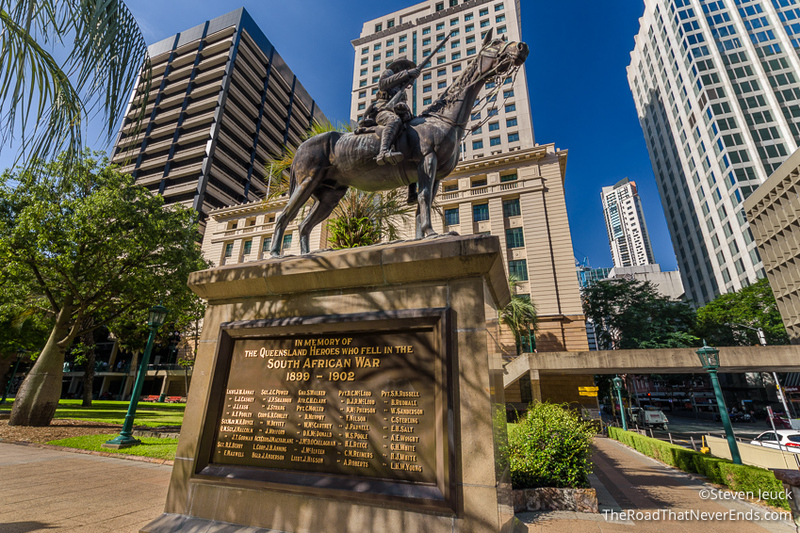 It has multiple statues paying tribute to the soldiers of WWI, WWII, Vietnam, nurses of war and more. It also has a free museum nearby, where we learned of Australia’s part in WWII. The museum is very small, and run by volunteers. We spent about 45 minutes in this area, and really enjoyed it. 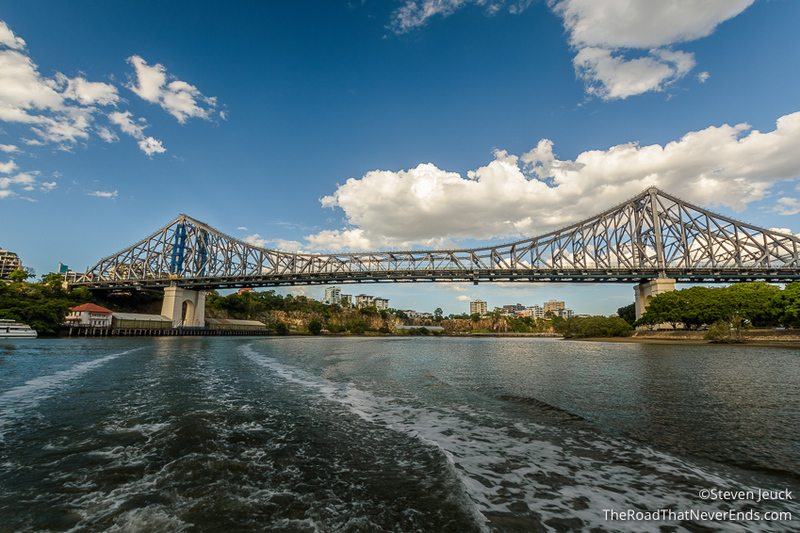 Story Bridge – The iconic Brisbane bridge, opened in 1940, and is best admired from a boat on the Brisbane River.